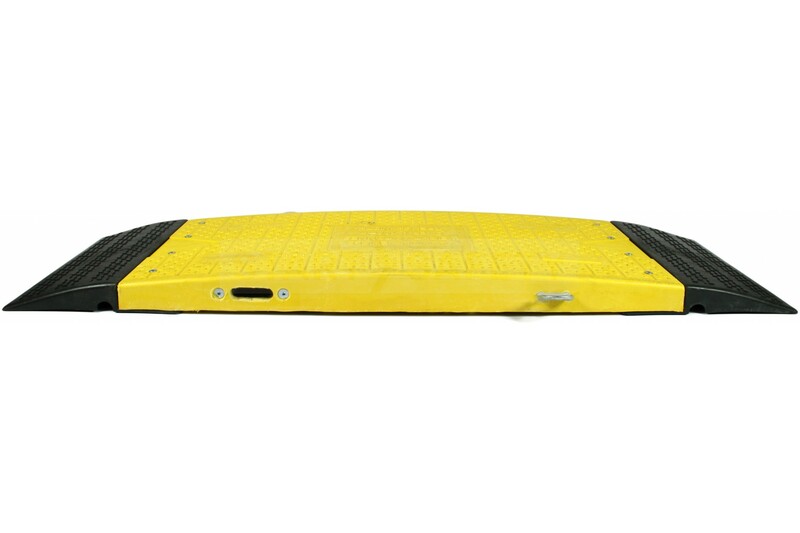 This reinforced fiberglass road plate system is a unique and new product that provides a cost effective alternative to steel road and trench plates traditionally used in street works and construction applications. Modular Interlocking Design - Any length of trench can be covered. 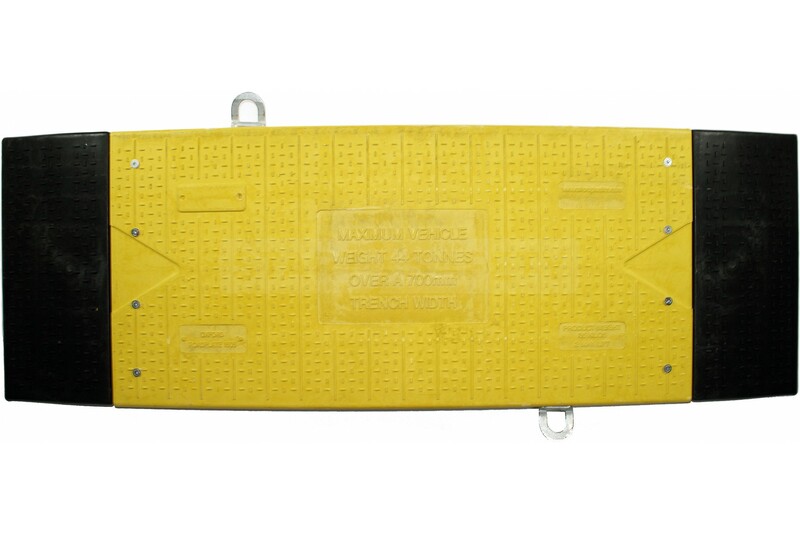 The interlinking design of our 15/5 road plate means that the plate can be assembled to cover almost any length of trench and varying contours. 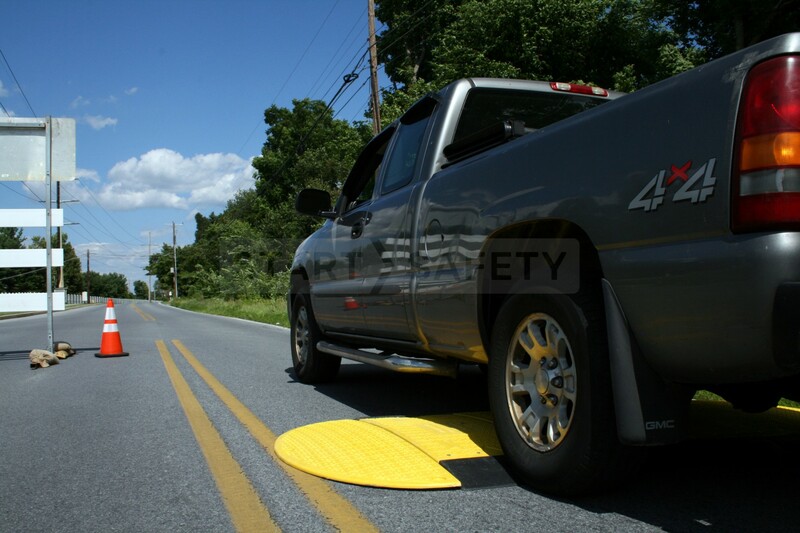 Our road plate can support a trench width of up to 30"
Another huge benefit of the modular design is that the trench plates can be transported in the back of almost any truck or pickup, this is in contrast to the large heavy equipment needed to transport steel road plates. 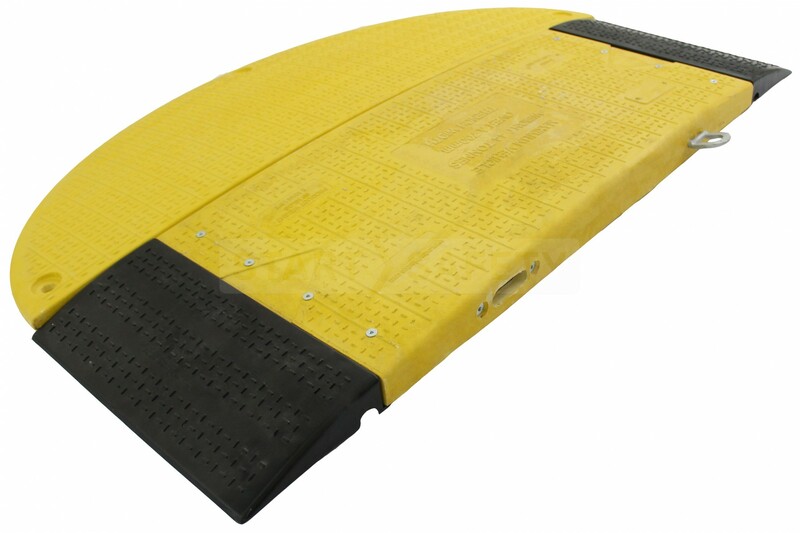 A large portion of the cost associated with steel trench covers is transport and installation. 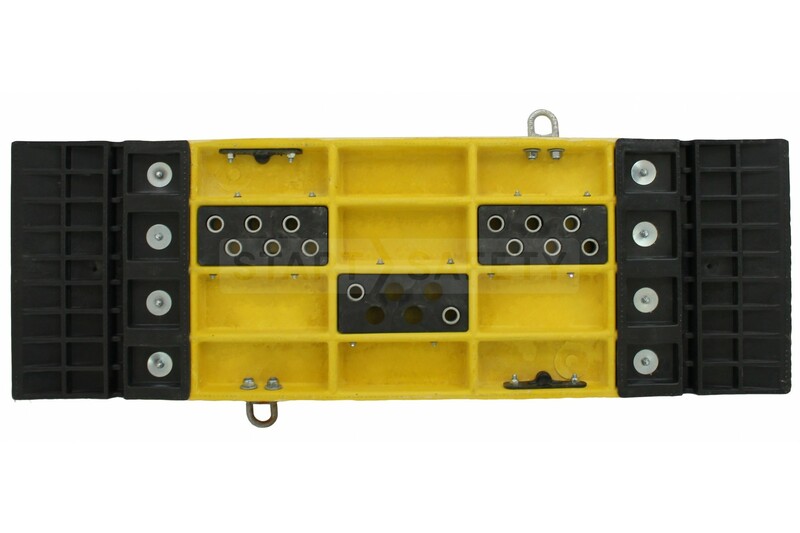 Due to the weight of conventional steel plates, heavy lifting equipment is required to put them into place, this is not the case with the 15/5 road plate. Each inner section only weighs 97 lbs. Two people can easily move and install each section. Transport and handling costs are significantly lower than steel which equates to large savings. 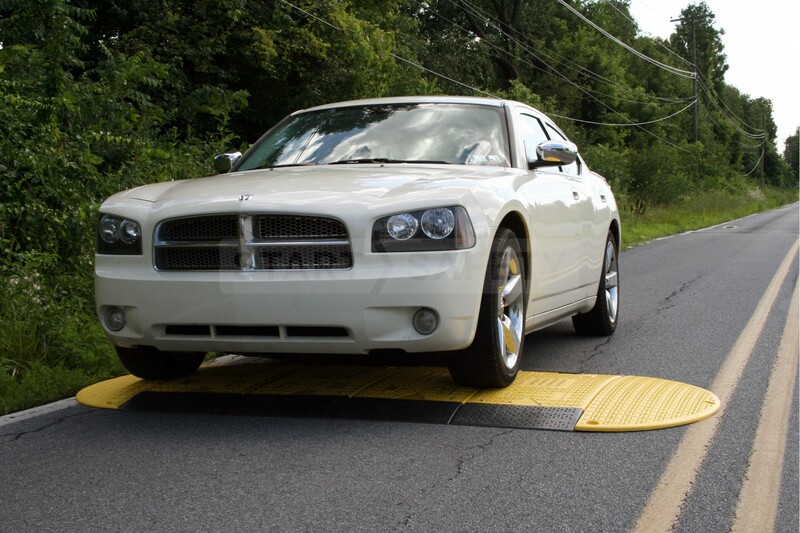 Anyone who uses steel plates knows how dangerous they are, perhaps the greatest advantage to our lightweight modular road plate is safety. Their light weight and two person handling means no heavy equipment and more safety. Steel trench plates are often a cause for complaints in residential areas due to the continual banging and clanging generated by traffic passing over them disturbing nearby residents. 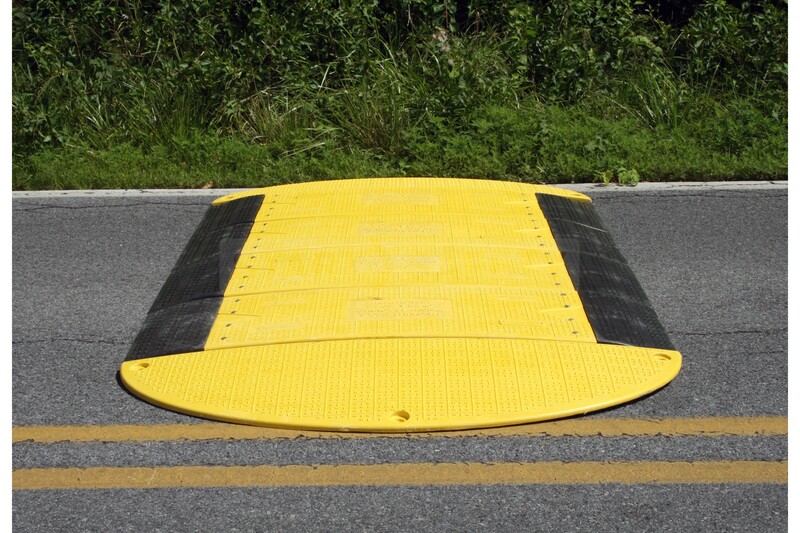 The rubberized trailing and leading edges of our trench road plate mean that the cover sits snug to the asphalt below, this means minimal noise as traffic passes over the plate. 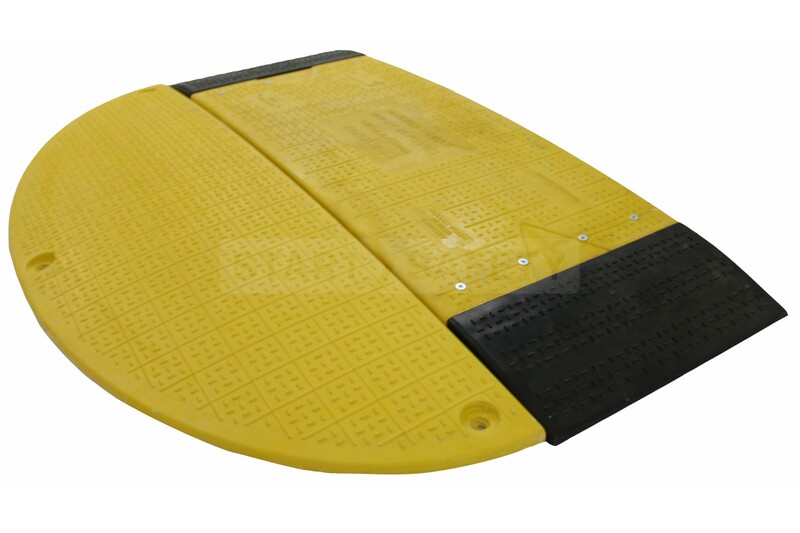 The absence of heavy lifting equipment from the installation process makes these trench plates very quick to install, it also means that sections can be lifted to re-gain access if needed without needing to bring back equipment. 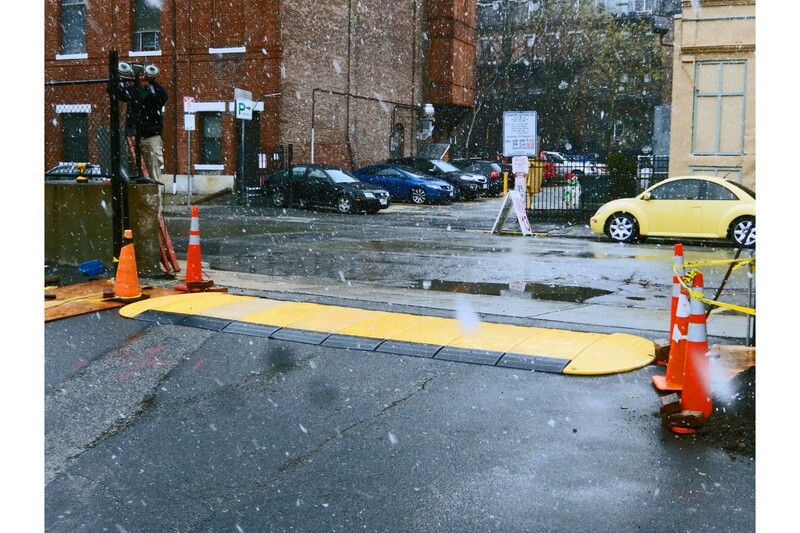 Within minutes, a 12ft long trench cover can easily be covered with fully installed plates without any heavy equipment. 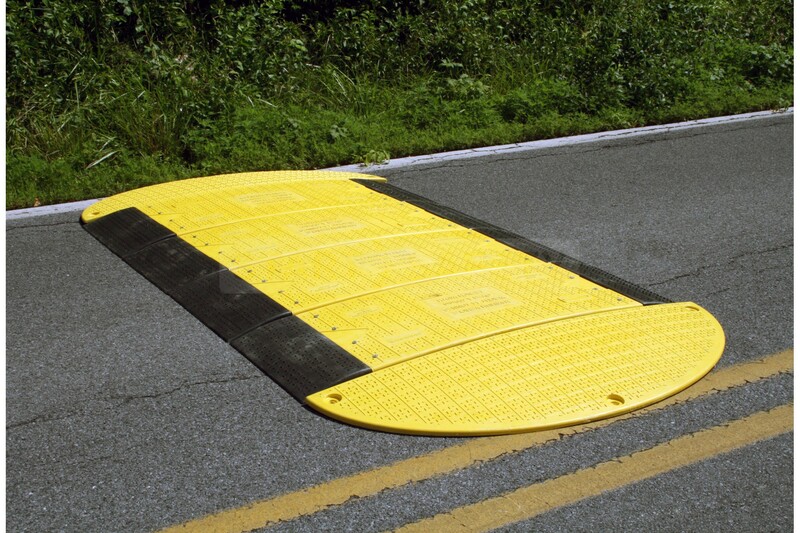 Each section of our trench plates is covered in a textured pattern specially designed to increase grip for pedestrians and vehicles passing over. 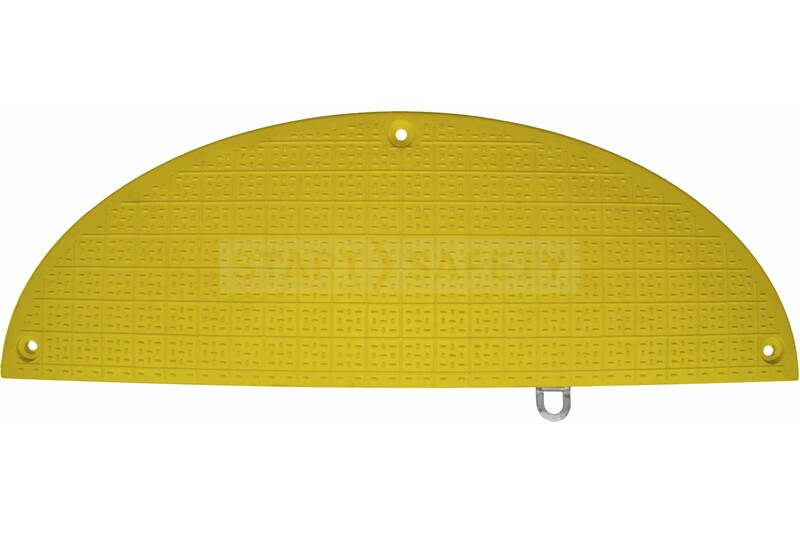 The bright yellow color and rubber ends ensure that all trip, slip and skid hazards are reduced as much as possible for any pedestrians passing over them and the same anti-skid surface means enhanced safety for vehicles. 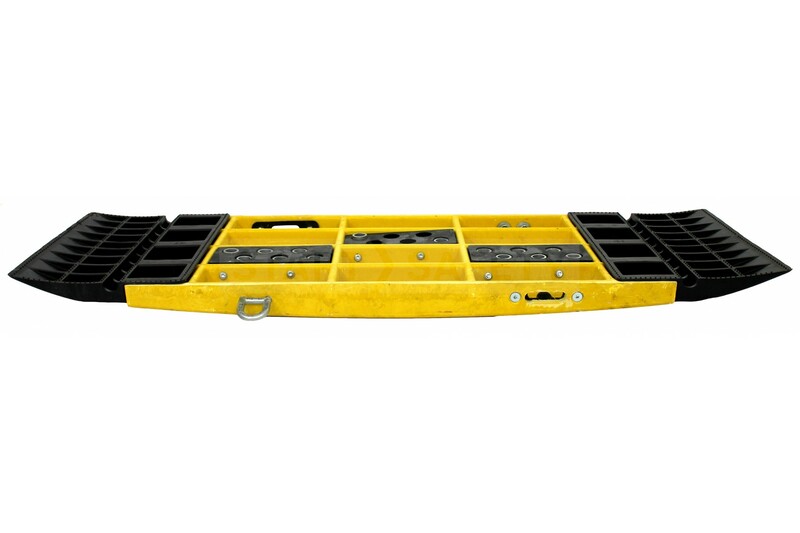 Our trench plates are designed for ease of handling and strength. 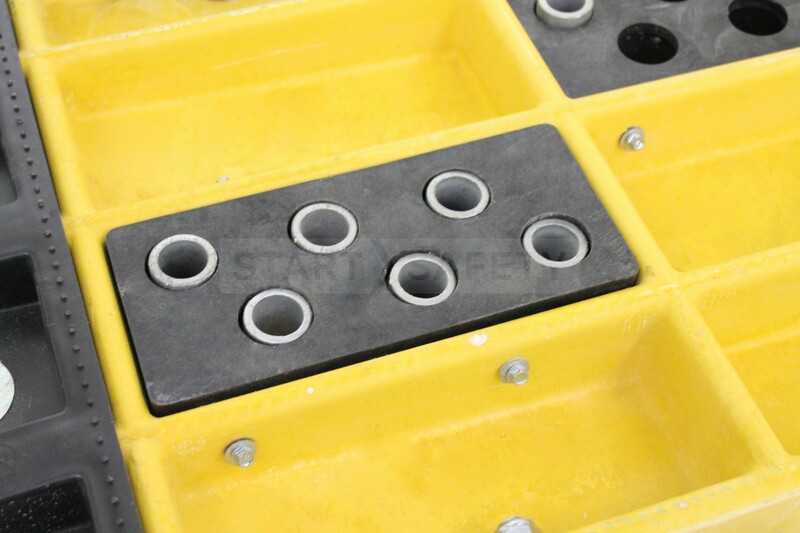 Inside, there are steel reinforcement rods making the plate stronger. On the outside, there is no sign of steel or anything worth scrapping. Not sure if this is the right solution for your needs? Give our sales support team a call toll-free at (800) 671-9662, our experienced staff will be happy to give advice and guidance on choosing the right solution. 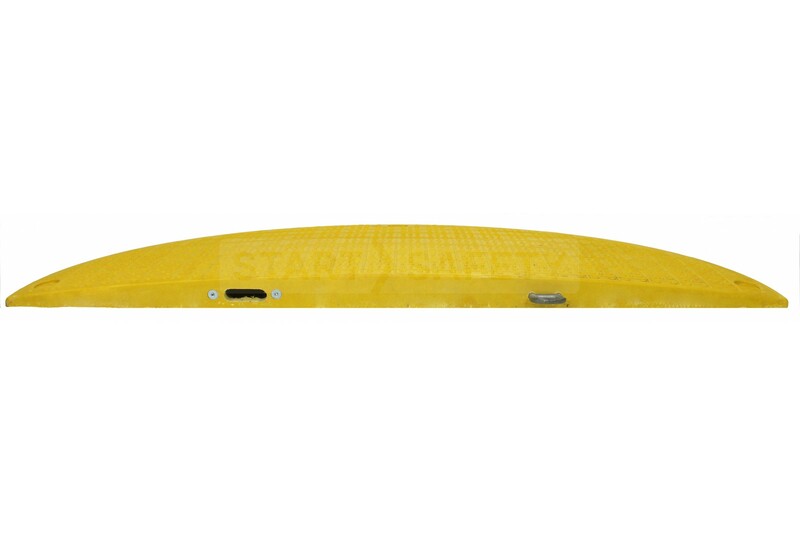 Height Inner Section: 2.95" | End Section: 2.95"
Width Inner Section: 19.7" | End Section: 19.7"
Per Pallet Inner Section: ~ 1936 lbs. | End Section: ~ 1000 lbs. Per Unit Inner Section: 97 lbs. | End Section: 50 lbs.